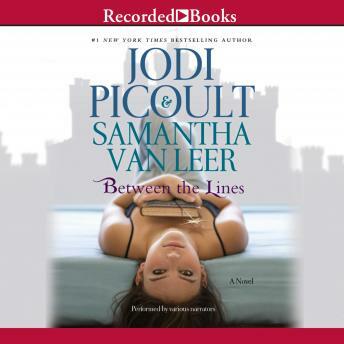 For her first-ever YA novel, #1 New York Times best-selling author Jodi Picoult collaborates with her teenage daughter Samantha van Leer on an exhilarating work of cross-generational appeal. A story of romance, adventure, and humor, Between the Lines features high-schooler and social outsider Delilah, who discovers a charming fairy tale in the school library and can't resist turning to it again and again. But one day she finds the book has hidden depths-and that the story's handsome prince has somehow stepped from the page into her very own world. it is a decent story, but not Picoult. a bit of a disappointment, but a good read for a very young teen. A really interesting concept, one that will make your brain explode if you think about it too much. The rhythm of tyhe book was a little uneven, and resolution wasn't nearly as satisfying as I'd hoped. But it's much lighter and more fun than other Picoult books (no devastation that hangs over you for days! ), so I have to give Jodi and Sam some props for that.